Cream card stock folded in quarters (7"x5"); color printer. Adobe Photoshop. Nicolaas by Mathilda and Frans (photo by Frans). Type: OCR-B, Frutiger, Helvetica. 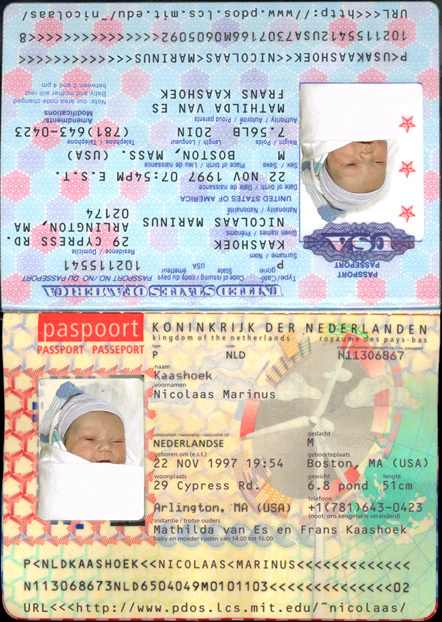 The announcement opens two ways; one side is a Dutch “passport,” the other an American one. The image above is the inside of an unfolded announcement.